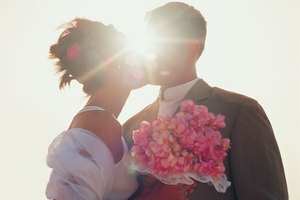 What Does the Methodist Church Require for a Wedding? The church serves couples it weds by blessing their union and committing to help them flourish in their relationship. Marriage is one seven sacraments for the Episcopal church. As such, it is viewed as a gift from God to his people, and a tangible sign of his grace. The Book of Common Prayer contains the liturgy and preaching resources Episcopalians use to order their services. The Book of Common Prayer provides several outlines for celebrating and blessing an Episcopal marriage. The Book of Common prayer lays out several ground rules for an Episcopalian marriage ceremony. It requires at least one member of the couple be a baptized Christian, and the wedding must be attended by, at minimum, two witnesses. 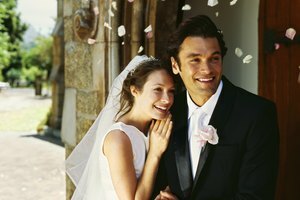 It also provides guidance on who may marry the couple, celebrate the Eucharist and perform other roles during the marriage ceremony. The Book of Common Prayer stipulates the marriage must be conducted according to the laws of the state. The Book of Common prayer provides thorough instruction for the main components of the marriage ceremony, including the order of the service, liturgy and placement of the couple at the altar. An Episcopal wedding need not be rigid and formulaic, however. The proposed liturgy in the Book of Common Prayer unifies the diverse community of the Episcopal church through shared worship practices. Particulars such as location, music, scripture readings and many other details are left to the couple's discretion. 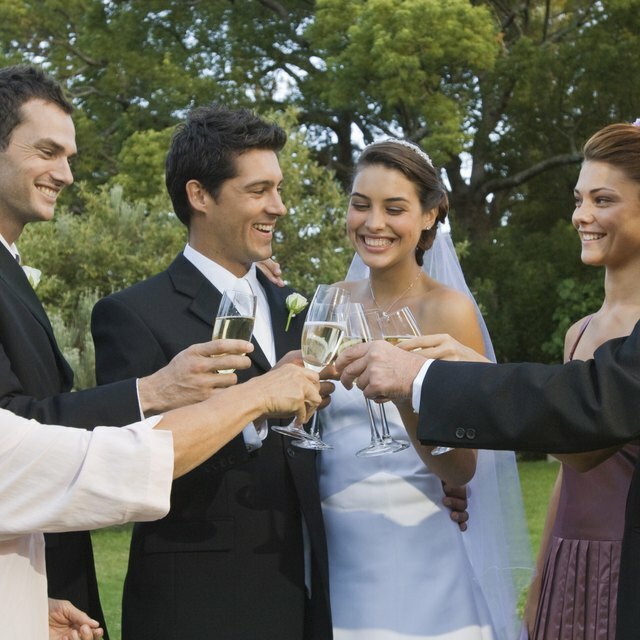 Blessing the marriage typically occurs during the ceremony, following the exchange of rings and vows. Since marriage is a holy sacrament for Episcopalians, it is viewed first and foremost as evidence of God's grace and love for his children. Accordingly, the priest's first act after pronouncing the couple married is to offer thanks to God and request his blessing over the new union. For the Episcopal church, God's blessing and grace are central to the marriage relationship and fulfilling its vows. 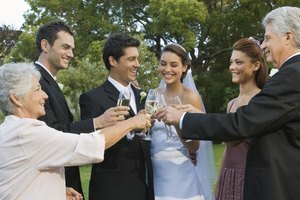 The Book of Common Prayer defines the purpose of marriage as "for their mutual joy; for the help and comfort given one another in prosperity and adversity; and, when it is God’s will, for the procreation of children and their nurture in the knowledge and love of the Lord.” Communion is often part of the marriage ceremony. Celebrating the Eucharist reminds the couple of the parallels between their union and Christ's relationship with the Church. Elise Medina writes and cooks in northern Virginia, where she works as a nutrition consultant. She holds a B.A. in political science and Spanish from Virginia Tech, as well as a master’s degree in political science from George Mason University. Do Episcopalians Practice Infant Baptism? When Did King Charles the First Rule England? Medina, Elise. "Celebration & Blessings of an Episcopal Marriage." 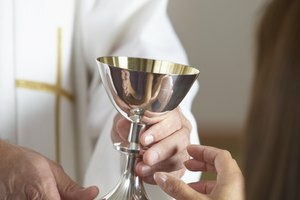 Synonym, https://classroom.synonym.com/celebration-blessings-of-an-episcopal-marriage-12086771.html. 29 September 2017.